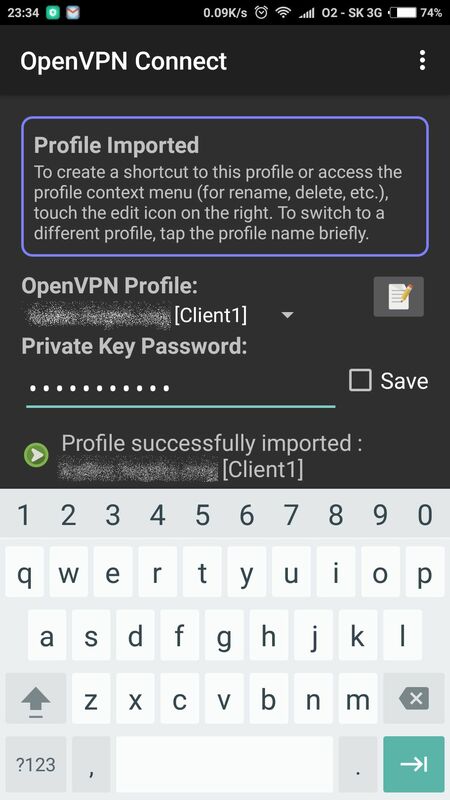 Welcome to the second part of our article where we will finish our setup on client side. In our scenario I will use smartphone as end-device. 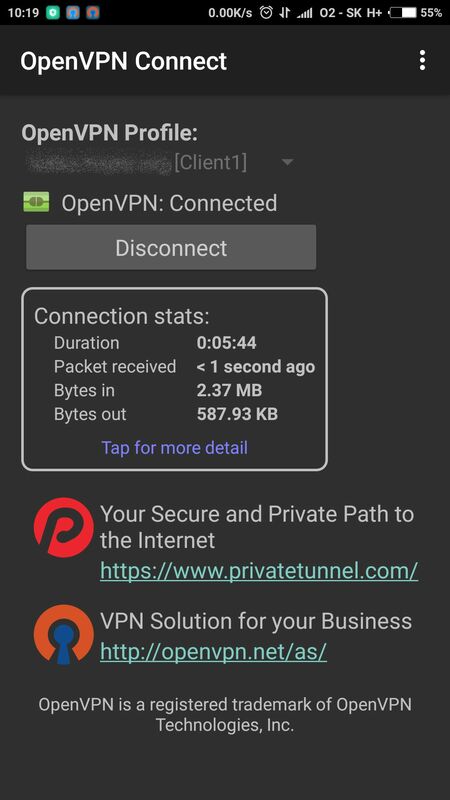 At the end we will be able to establish VPN tunnel between smartphone and raspberry Pi, so it does not matter where you are connected, you will be fully redirected to the VPN and using Internet connectivity as you should be sitting at home. 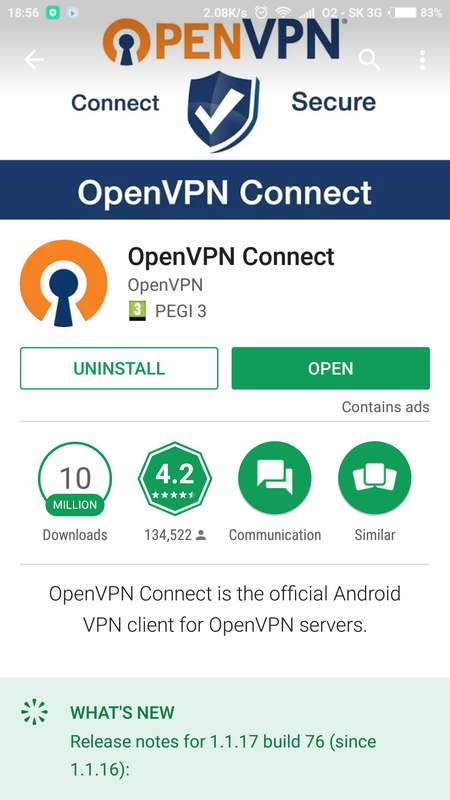 Exactly the same procedure with any small differences can be used also for your laptop, table or any other device which is able to install OpenVPN application. 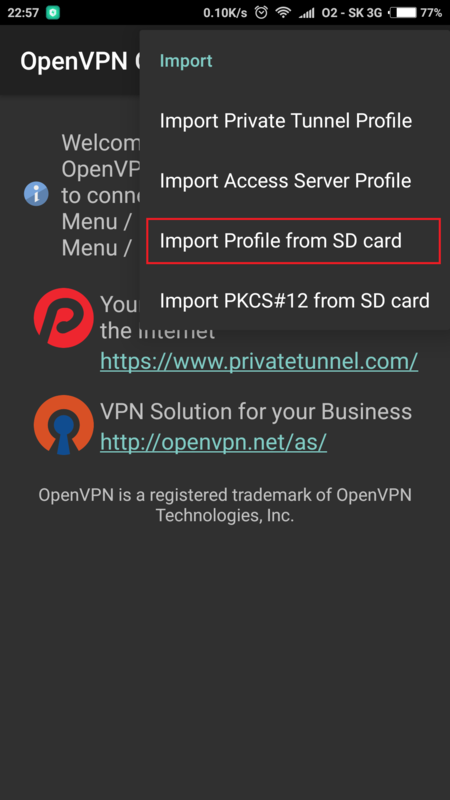 Replace segment <YOUR PUBLIC IP OR DYNDNS HOSTNAME> with your static public IP or dynamic dns record. 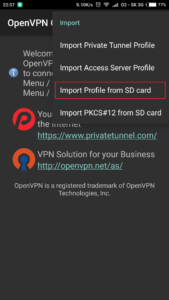 It has to point to the public IP (dns record) behind which your openVPN server is sitting on. 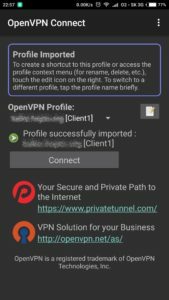 Beware that usually is also needed to make port-forwarding on your router: <any_public_ip>:1194 —-> <local_IP_of_your_raspberry>:1194 Please follow official guideline of your router how to proceed here. We used inline references to the keys and certificates as opposed to packaging them up together. Copy and paste each in the appropriate area. Be sure to paste it completely without any additional spaces or characters. 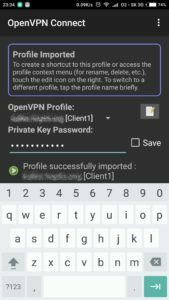 Email the Config File to Yourself, or Use Dropbox/Google Drive, etc. 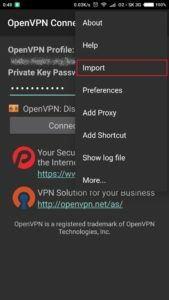 Please use secure way to transfer file as it is containing also your private key. 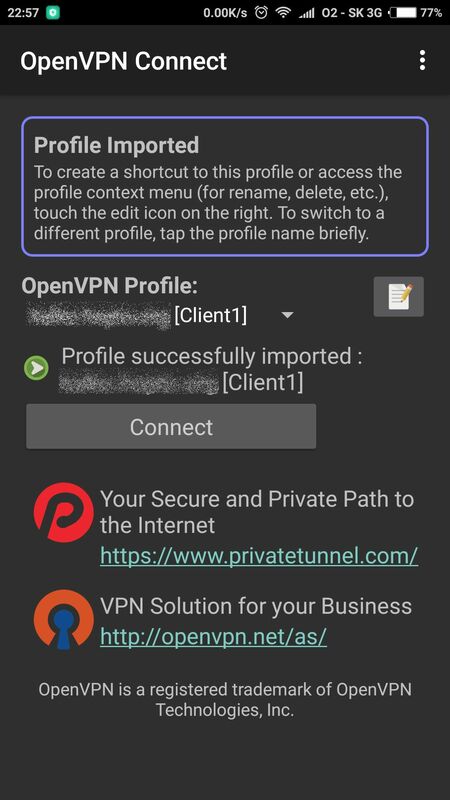 Just follow screenshots below to install application and import configuration file on client side (in our case android smartphone). 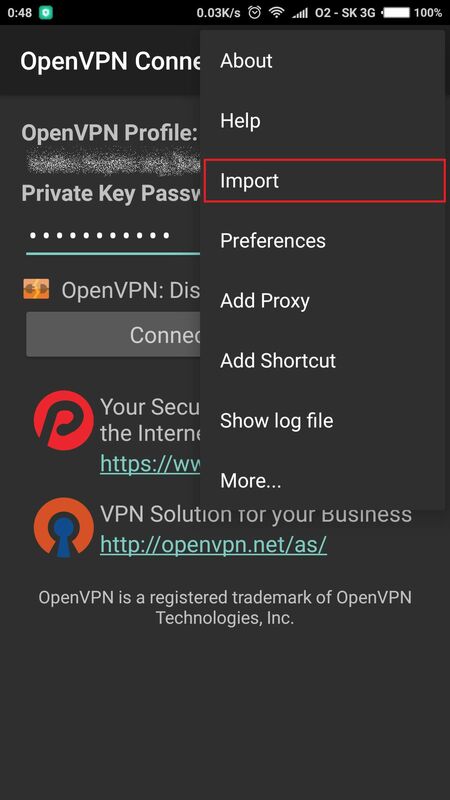 If you need to check logs on client side, use “Show log file” option directly in OpenVPN application. Congratulations! Now you have successfully finished openVPN configuration on server and client side. In case of any questions, do not hesitate to leave comment below. Great tutorial, worked like a charm after others failed. Using tunnelblick on mac. Only had to identify and make one correction.. where you say “# insert base64 blog from file Client1.key” it should be “# insert base64 blog from file Client1.aes256.key” noting the aes256, as both Client1.key and Client1.aes256.key exist based on setup.